If you haven’t seen it yet, you need to take 2 minutes to watch this music video about the VELCRO® trademark. The Velcro legal team puts on quite a show. A selection of the need-to-know civil justice news for September 16-22. 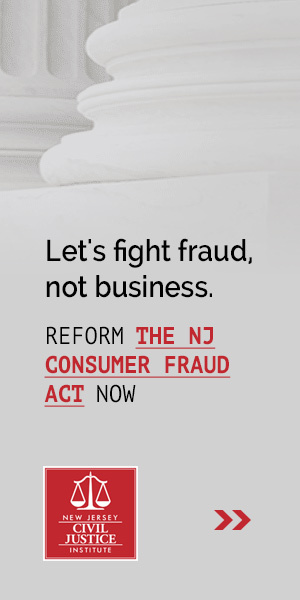 Frank joined NJCJI to discuss the Subway “Footlong” settlement, explaining why class action settlements are so prone to abuse, and why consumers are better off when class action abuse is curbed. A selection of the need-to-know civil justice news for September 2-8. A selection of the need-to-know civil justice news for August 26-September 1. On Thursday, September 7 at noon, we are hosting a policy teleforum with Ted Frank, the attorney whose objection to the Subway “Footlong” settlement convinced the court to throw out this ridiculous lawsuit. Emily Kelchen, NJCJI’s Director of Public Affairs, has been selected to participate in the New Jersey State Bar Association’s Leadership Academy. She is one of only 12 attorneys in the entire state chosen to take part in this prestigious program.